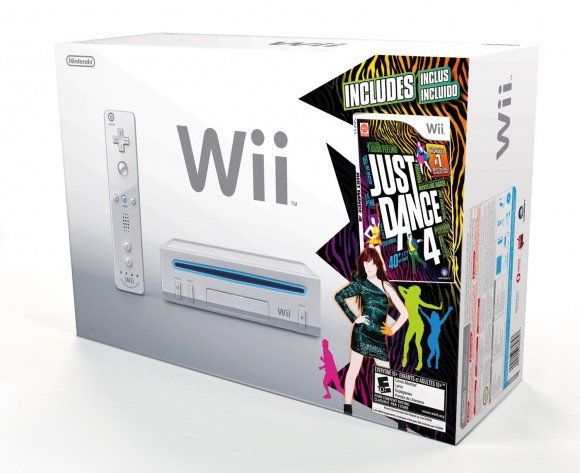 Nintendo has revealed a pair of new Wii bundles which will be available from 4th November across North America. 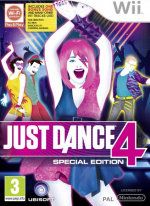 The Just Dance 4 option retails for $129.99, and includes a copy of the game alongside a white Wii with matching Wii Remote Plus and Nunchuk. The Skylanders Giants bundle sells for $149.99. and will include the game, a Portal of Power, two Skylanders figures, as well as an exclusive Giant Skylander. This pack will offer a blue Wii and a matching Wii Remote Plus and Nunchuk. These bundles give consumers a way to enjoy some of the hottest new games for this generation’s most popular console at an attractive price. Together with our third-party publishing partners, we’re delivering maximum value for families who want to get the most for their home entertainment dollar. Yes, Nintendo has a new console out in just a couple of weeks; but it's not stopping it from pushing the Wii every way it can. Reggie Fils-Aime has spoken about the company's hopes that Wii will continue to sell beyond Wii U's arrival, much like PlayStation 2 did for Sony. No doubt it would love to see Wii surpass the iconic 100 million sales mark, but there's still a way to go. skylanders giant=another huge, black hole for my money as my grandson will need to have it...sigh. I would like to see Wii pass the 100 million mark (as long as it doesn't leech off Wii U sales). Man... that's going to sell well. 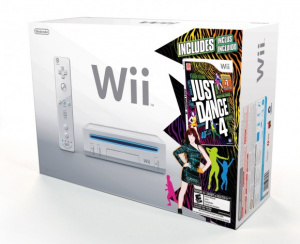 What about a JD4 WiiU bundle? I still want to get the red Wii to tell you the truth. I like the red wii, but I'm still stuck with my white from '08. I'm going to paint my own wii a color of my choice lol. And why wouldn't nintendo bundle more games together as part of this deal? They should have made a a more gamer oriented bundle, include Zelda Skyward Sword and Xenoblade Chronicles, black for $149.99. That would sell really well. These are good bundles. Not up my alley, but I believe they will serve Nintendo well. One thing is for sure, the Wii isn't going out quietly. Good deal. Let the Wii go out with an interesting bang. And an exclusive Skylander. Nice to see that Nintendo's trying to appeal to families that aren't transitioning to the Wii U this season ( casuals). Both bundles will probably sell, sell, sell. I like that exclusive Skylander ( only comes with this version). But I'm not so obsessive to shell out money for another Wii for it. Especially when I'm already getting the Wii U version. Why not release Pandora's tower now for the Christmas season in NA? Surely some people will pick it up with all these new bundles? A golden Wii bundled with SS would really be awesome. I don't see Nintendo including two full, long games in a bundle, though. Both are pretty good deals,and if I didn't have a Wii I wouldn't mind that.